Technology giant Apple has taken a bold step to expand its global empire as an employee reveals that the company is going to build an electric car. In a bid to rival Tesla, rather than buying the electric car maker as some had suggested it would, an Apple worker has instead revealed that the company has more than 1,000 engineers currently working on a new project to build its own car. 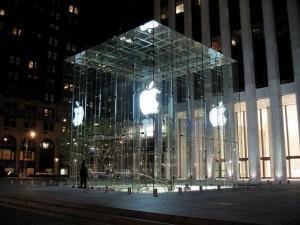 Apple has traditionally favoured a build-it rather than buy-it approach when it comes to developing its products, and the American company clearly has faith that it can carry its huge success in music and computing into the automotive industry by creating better and cheaper alternatives to the eco-friendly cars already on the market. While it might still be years away before the first Apple car hits the roads, it is worth bearing in mind for any motor trade business that is considering stocking, selling or repairing electric cars what the effects might be on their motor trade insurance policy. Not only could the business require a different road risks insurance policy to enable staff to drive this type of vehicle, but the extra technology, equipment and parts associated with electric cars will also need to be factored into a combined motor trade insurance policy so they are protected while stored on site. Apple's project, code-named 'Titan', is initially working on the design of a vehicle that resembles a minivan, one of the people working on the development revealed to the Wall Street Journal. Although the company is yet to release a statement confirming the rumours, and Apple often builds prototypes which it never actually goes on to sell, the WSJ reported that "the size of the project team and the senior people involved indicate that the company is serious".